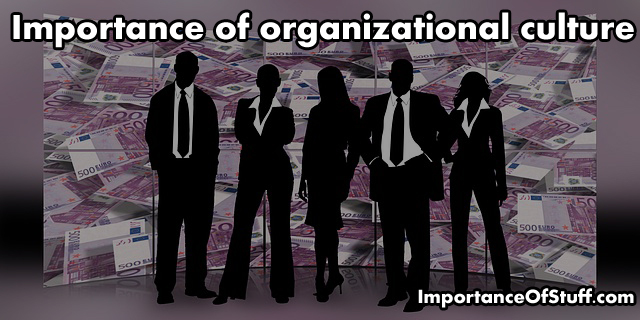 An organization’s success depends on a number of factors. Organizational culture is one of these few features that every organization must incorporate. An organization has to have culture in order to execute its functionalities aiming to meet its goals and objectives. Generally, organizational culture is covered in the organizational management and studies field. It is used to describe various attitudes, experiences, psychology, values and beliefs of an organization. In addition to this is that organizational culture encompasses of diverse norms and values shared by groups and people of various organizations which in turn controls the interaction between the organization and its external stakeholders. Primarily, this paper seeks to discuss on organizational culture purposing to focus on the contents of an organizational culture, the degree in which these organizational cultures can be reshaped and how different it appears from the former organizational metaphors. Organizational values can easily be described as a set of ideas and beliefs concerning the types of goals an organization can pursue as well as various ideas incorporated within an organization purposing to meet the organizational goals. As a result, members of an organization are able to determine the guidelines, norms and expectations of particular situations which help in controlling the organizational member behaviors towards each other. Cultures for an organization can either be weak or strong. A strong culture exists in situations whereby the members of an organization react to stimuli depending on their position to the values of an organization. On the other hand, an organization is said to be weak in scenarios whereby organizational values experience little alignment thus ensuring that control is experienced through extensive bureaucracy and procedures. There are various ways through which a strong organizational culture can be achieved. One way is by aligning the company goals in such a way that it can be able to accomplish its goals, mission and vision. Another way is by motivating employees from time to time in order to gain their loyalty. Promoting consistency is another factor that works towards encouraging an organization’s coordination on top of the company’s control. A strong culture can also be achieved by shaping the behavior of the employees at their workplace. All these features contribute towards having an efficient organization. According to Deal and Kennedy, organizational culture helps in getting things done effectively within a company. Denison measures organizational cultural model under two perspectives. The first one is leadership development survey and the second one is organizational culture survey. Denison model covers four traits of leadership and culture. These are consistency, mission, adaptability and involvement. Nonetheless, these four traits are broken down into sub traits which are necessary for the efficiency and effective functionality of an organization. This model mainly focuses on what they term as feedback and reward. This feature becomes a core driver for individuals in companies as a way of indicating whether whatever is being done is right or wrong. Risk is another factor covered in the Deal and Kennedy’s model. The factor on risk motivates individuals within an organization towards managing it. The four cultures applied here include work and play hard, the culture on tough guy mach, process culture and bet the company culture. TUIU is one company that saw the importance of incorporating organizational culture. They chose Denison’s culture model in order for them to understand their corporate culture. This is because the model tackles matters concerning an organization’s effectiveness and corporate culture. What is more is that this model is concerned with organizational change and leadership development. Another reason as to why TUIU chose this model is that it has a high impact the creativity of the organizational employees. Another area of interest is that the model has an impact on the recruitment and retention of the company’s employees. These are crucial for an organization’s success and effectiveness. More emphasis is laid on the formation of a healthy culture. Incorporating change means reducing employee turnover, providing better customer services and achieving the company’s specific goals. Organizational cultural concept on change is important when trying to manage the wide change of an organization. Organizational change is not all about changing of structures but also introducing change to the corporate culture of an organization. Change efforts may at times experience failures. This is brought about by lack of understanding on the strong cultural roles and how important it becomes to the organization. As a result, most strategic planners have found the need to identify the strategic values of an organization focusing on the vision and mission of the company. It is important for an individual to make a distinction between cultural concept and the concept of organizational culture. Nevertheless, the two have both share a similar concept. That of the organization is more formal than that which is cultural. However, in most occasions, cultural norms reflect on the values related to culture. There are various reasons as to why organizational culture needs to be changed from time to time. One significant reason as to why change should be incorporated is to motivate people in their work areas. Other reasons include lack of work morale, business changes like new product development and lacking meaning for the job. All these are some of the few reasons why change should be incorporated in an organization’s culture. The process of organizational cultural change should encompass all members of an organization in order for each staff to describe particular organizational culture elements that appear to be negative. Culture and the history of an organization are deeply rooted. For this reason, both resources and time are required when incorporating change to the organizational culture. There are various factors that are used to shape the culture of an organization. These might includes the nature as well as the size of an organization’s workforce, the external environment, the type of technology applied by an organization, organization’s ownership and history and the industry. These factors might affect the culture of an organization either positively or negatively thus affecting the company’s efficiency. Culture brings in a large impact especially to the growth and development of an organization. One significant point to note is that culture aids an organization in coping with its external environment. An effective leader ought to understand the culture of an organization to a great extent in order to have a clear vision and mission of the organization. Change is inevitable and for this reason the management of an organization must be ready to incorporate change into the organization’s culture as a way of improving its efficiency and effectiveness in the competitive environment. Leaders should take into account that understanding culture and how it can be transformed is necessary when it comes to achieving strategic outcomes.